. يعمل Amalfi Motor Lodge على ضمان إقامة مريحة لضيوفه من خلال خدماته الممتازة وحسن ضيافته. يمكن للنزلاء الاستمتاع بالميزات التالية: مرافق مخصصة لذوي الاحتياجات الخاصة, تسجيل وصول/خروج سريع, تخزين الأمتعة, واي فاي في المناطق العامة, صف السيارات أثناء إقامتهم في هذا المكان الرائع. استمتع بوسائل الراحة الراقية في الغرف أثناء إقامتك هنا. بعض الغرف تتضمن تلفزيون بشاشة مسطحة, اتصال لاسلكي بالإنترنت, حوض الاسترخاء, غرف لغير المدخنين, تدفئة لمساعدتك على استعادة طاقتك بعد يوم طويل. يقدم الفندق مجموعة واسعة من وسائل الراحة المتنوعة، كمثل: مسار جولف - ضمن 3 كم, حديقة. مهما كانت أسبابك لزيارة كرايستشرش، فإن Amalfi Motor Lodge هو الخيار الأفضل لإقامة مثيرة وممتعة. The hosts are friendly, rooms very clean and tidy. Excellent value for money. I would stay again next time I am in town. Fine. Warm and relatively quiet. Disorganized woman at front desk. 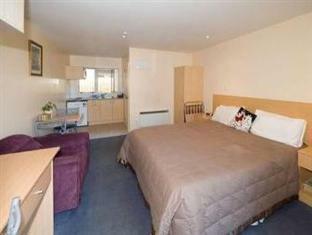 Comfortable bed and close to eateries. our stay was very relaxing. on arrival we were up-graded to a 1 bdrm spa unit. modern decor. location close to shops & restaurants. staff very welcoming. The staff is very friendly and helpful in accommodating the needs of a customer. 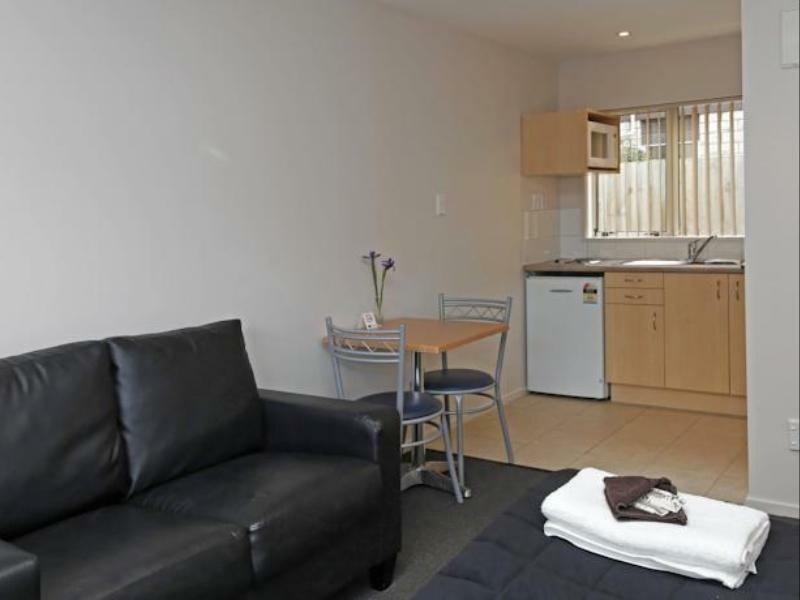 It is conveniently located close to shops and Riccarton Mall. Highly recommended. We stayed at the Amalfi Motor Lodge on our first night in Christchurch. It was chosen because it wasn't far from the airport and close to a large supermarket, where we stocked up for our road trip. We were met by the relief manager who was very welcoming and friendly. 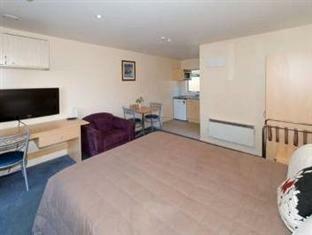 We had a one bedroom unit which was a good size, clean and comfortable. I was surprised how quiet the room was, as we were right on the front facing the busy road. The double glazing really cut down the traffic noise. The bathroom however was very tired with grout missing between the tiles. It was an open disabled type shower that failed to drain properly and flooded the room. So after a shower you had to mop the bathroom floor, toilet etc with towels. Annoying! However overall we had a comfortable night. The efficient Manager arranged for a late check in through a coded room key safebox. Our short but very comfortable stay was exactly what we needed on our late night arrival from Australia. 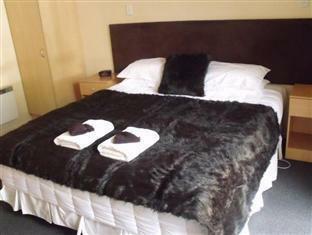 The clean and self catering Studio Spa Bath Unit is highly recommended and is good value. The Manager gave good tips on local facilities and directions for an alternate scenic route rather than the truck laden road through Ashburton. I have one concern - the tiles in the bathroom are very very slippery - needed to take extra care not to fall - shower curtain too short so the water goes every. Spa bath, comfortable bed, location. Great stay. Close to shops and airport. Internet access helpful staff. It was nice place for short stay and the motel onwer is very friendly. What a pleasant surprise. We booked Amalfi last minute in Christchurch as our family of four began our two week campervan trip around the South Island. The staff just could not have been nicer, our upstairs corner room super comfy and clean, the self-catering facilities perfect for our needs and the location just fine. We were in Christchurch for a short stay and the room served it's purpose well. Good clean facilities and the owner/man at reception was friendly and efficient.